A drug-free and clinically-proven treatment for anxiety. Cases show a 75% success rate. Neurofeedback therapy is an effective treatment for anxiety. People who experience increased anxiety and who suffer from anxiety disorders exhibit irregular brainwave activity that can be identified through brain mapping. 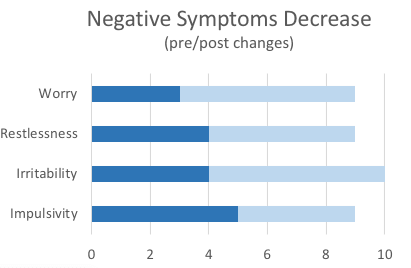 Since the process of neurofeedback naturally retrains the brainwaves to return to a balanced and normal state, patients struggling with anxiety can often find relief, relatively quickly (and sometimes permanently), through neurofeedback therapy. 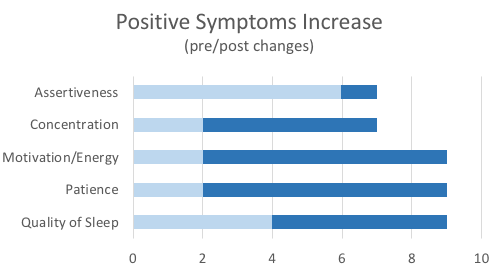 Case studies show that neurofeedback has a 75% success rate for reducing symptom severity in patients. Neurofeedback Therapy is a safe alternative to anxiety-related prescription drugs. As with many medical conditions treated by traditional medicine, the default approach to treating anxiety disorders is too often a long and side-effect-heavy prescription drug plan. The overuse of anti-anxiety medication is helping to fuel the epidemic of overdose deaths related to prescription drug use in the United States. The American Journal of Public Health reports that overdose deaths involving anti-anxiety drugs rose 429% between 1996 and 2013 (3.07 per 100,000 adults in 2013, up from 0.58 per 100,000 adults in 1996). Neurofeedback, which is 100% drug and side-effect free, offers patients an opportunity to treat their anxiety without the concern of creating additional health risks. Is Neurofeedback Therapy is a clinically proven treatment for anxiety disorders? Yes, Neurofeedback Therapy is a clinically proven treatment for anxiety disorders. Alpha, Theta and alpha-theta enhancements are effective treatments of anxiety disorders (Table 1). Alpha suppression is also effective, but less so (Table 2). Perceived success in carrying out the task plays an important role in clinical improvement. Research is needed to find out how much more effective they are than placebo, and which variables are important for efficacy. Variables needing study are: duration of treatment, type and severity of anxiety, number and type of EEG waveforms used, pretreatment with other kinds of feedback, position and number of electrodes, and presence of concomitant medication. MyBrainDr successfully treats anxiety disorders with neurofeedback therapy in Cary, North Carolina. Click the button below to schedule your free consultation today! To learn more about neurofeedback click HERE.